Product prices and availability are accurate as of 2019-04-18 14:40:43 EDT and are subject to change. Any price and availability information displayed on http://www.amazon.com/ at the time of purchase will apply to the purchase of this product. Inhibits scale formation and filter sediment, and removes chlorine odor and taste, so your ice is always clean and refreshing. 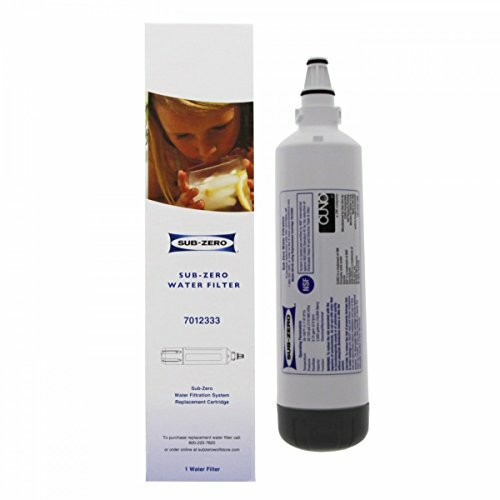 Life expectancy of the water filter is 6 months during normal usage. Specifically for undercounter ice maker UC-15. Please note: This filter is for use in the Sub-Zero line of Icemakers only and will not fit your Sub-Zero Full-Size Refrigerator. For that, you should purchase item number 4204490.